The Blue Rose / IQ M300 amplifier is rated to deliver FTC RMS continuous sine wave power, full bandwidth, 20hz to 20Khz, into 8-ohms and 4 ohms. How many amplifiers can really do that? Not many. In addition, every IQ amplifier is fully tested with an Prism D-scope III testing system, driven into a 2-ohm load, to certify performance. 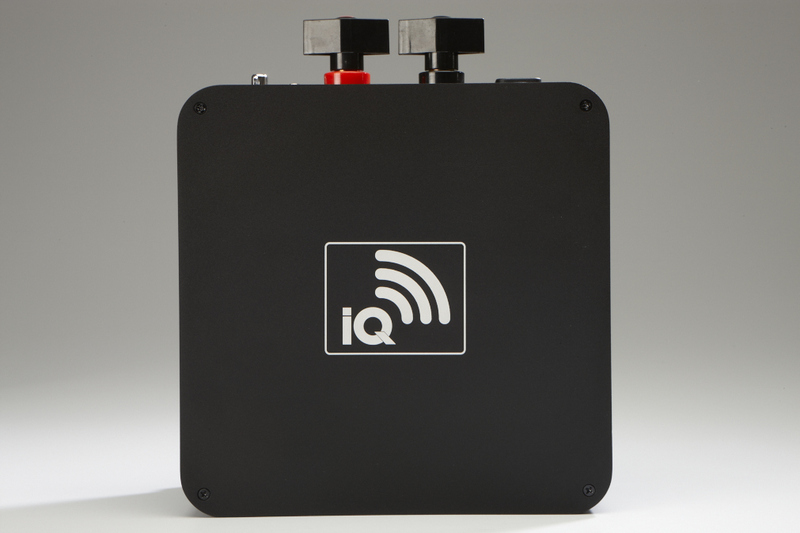 The IQ amplifier can easily drive capacitive loads. One of our reference speakers is the Quad ESL-63 electrostatic, with Crosby mods, which presents a capacitive load to the amplifier. The IQ M300 amplifier drives this speaker with ease! The IQ M300 can drive any loudspeaker with control, power, and finesse required to bring music’s dynamics and subtle details to life! The net result of all this effort is that the IQ M300 power amplifier has delicate detailing, from a quite black background, with powerful punch and slam, with dimensional imagery. Small, Beautiful, and Powerful ! The IQ M300 can drive any loudspeaker with the control, power, and finesse required to bring music’s dynamics and subtle details to life! There is a difference, and you can hear it.